Rate include: English-speaking driver, all taxes, tolls, fuel and parking. Rate exclude: Private guide, lunch and admission tickets. Private guide service is available upon request at an extra charge. 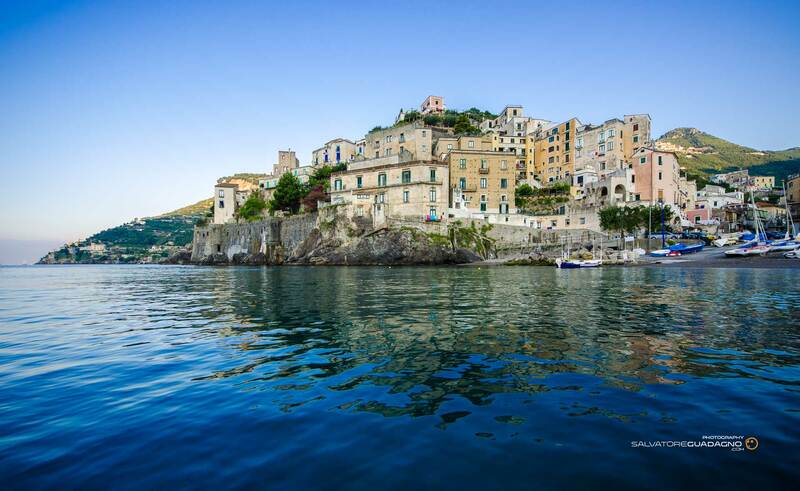 Leaving your accomodation behind you, you will head towards an "earthly paradise", characterized by the scent of lemons, the sweet and sour smell of fruit blossom, crystal sea and a series of marvellous hamlets and towns which line the entire Sorrentine peninsular and the Amalfi Coast. After an obligatory visit to the famous cathedral of San Andrea, you can stroll through the streets of the old historical centre, browsing through souvenir shops or merely being captivated by the fragrances and tastes of the local delicacies. 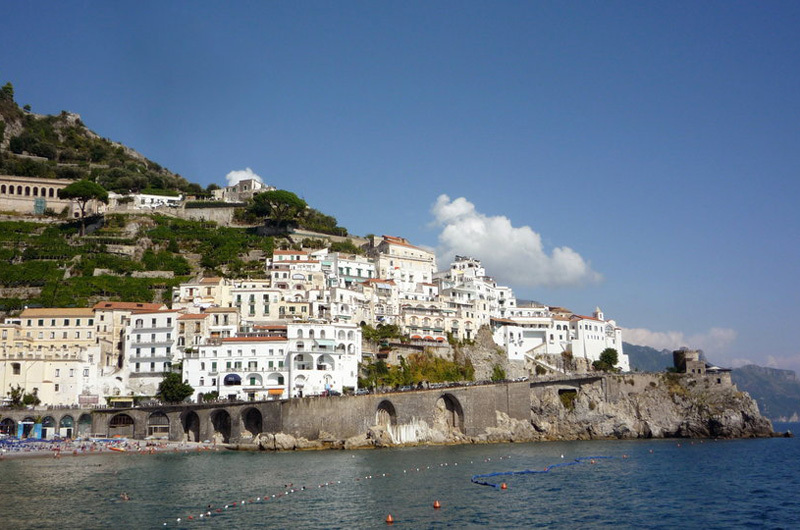 A rural town perched high upon a plateau overlooking Minori and Maiori. 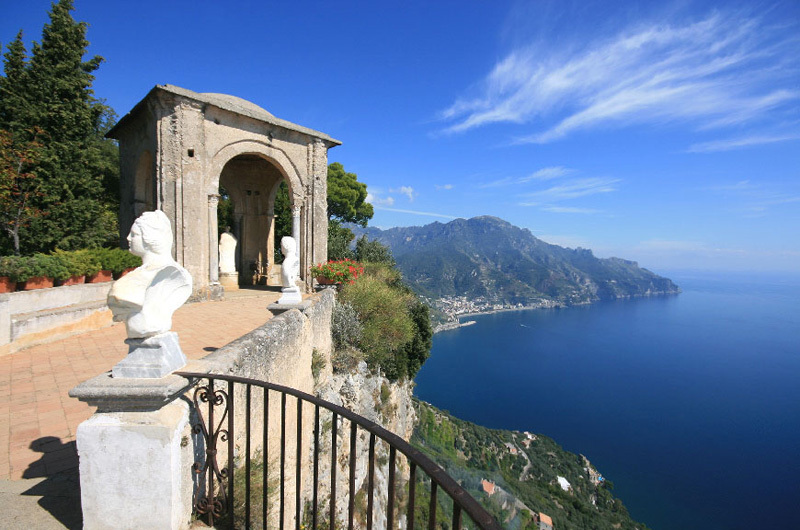 Ravello is world famous for its breathtaking views, natural beauty and ancient monuments and its charming Villas and gardens: Villa Cimbrone and Villa Rufolo. After this wonderful day out, you will be driven back to your accomodation.